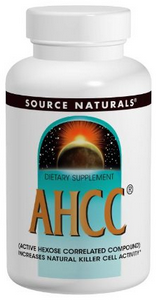 AHCC Immune Support Booster Supplement Review: Working? Diarrhea, cold sores, chronic infections. 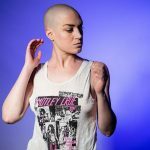 As such, many people look for natural diets and supplements to boost immune support and for overall well being, while some patients seek immune booster injection after chemo and cancer treatment. Mushrooms that contain long-chain polysaccharides (particularly alpha- and beta-glucan molecules) have proven beneficial effect on human body immune system, with the natural Active Hexose Correlated Compound (AHCC) extract from Japanese Shiitake mushrooms serves as immunomodulatory agent that helps keep our immune system strong and balanced. 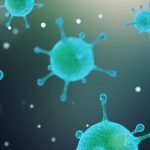 According to AHCC research, medical experts and studies testified that AHCC supports immune system by increasing the production of body’s natural killer cells, while it modulates and keeps the immune system strong and functioning for overall health. 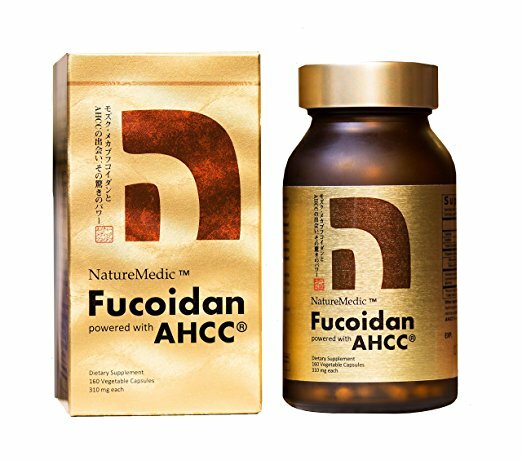 Watch the 2 brief videos below, in which natural physician Dr. Fred Pescatore shares his insights on AHCC as the #1 best selling nutritional supplement in Japan that is used for over 700 hospitals, how it helps to support immune system without overstimulation, and how AHCC helps improve immune support against flu viruses and infections. 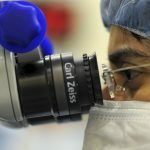 Does AHCC have immunomodulatory and anti-cancer effects in cancer patients? 11 cancer patients with advanced malignancies were treated with AHCC for up to 17 months. Tumor-associated antigens (TAAs) for each type of malignancy was measured prior to AHCC treatment and at 3- to 40-week intervals. Natural killer (NK) cell activity was also monitored. 3 grams of AHCC per day. A significant decline in TAA occurred in 8 out of the 11 patients with different types of malignancies. In vitro studies showed that AHCC possesses suppressive effects on tumor cell growth. The high augmentory effect of AHCC and the absence of notable side effects make AHCC a promising immunotherapeutic agent for the treatment of cancer patients. Consuming Lentinula edodes (Shiitake) Mushrooms Daily Improves Human Immunity: A Randomized Dietary Intervention in Healthy Young Adults. 52 healthy males and females, aged 21-41 years, participated in a 4-week parallel group study, consuming either 5 or 10 g of mushrooms daily. Each subject had blood drawn before and after 4 weeks of daily Shiitake mushrooms consumption. Eating Shiitake mushrooms for 4 weeks resulted in greater ability to express activation receptors, suggesting that consuming mushrooms improved cell effector function. Regular Shiitake mushrooms consumption resulted in improved immunity, as seen by improved cell proliferation and activation and increased sIgA production. Kansai Medical University, Osaka, Japan. Immunological effect of AHCC in healthy volunteers: a double-blind, placebo-controlled trial. 21 healthy volunteers receive placebo or AHCC for 4 weeks, and a series of indices were measured by the researchers including Natural killer (NK) cell activity, proliferative response of T lymphocytes toward mitogen, cytokine production stimulated by lipopolysaccharide, etc. significantly higher number of total DCs compared to baseline and values from control subjects. significantly higher number of DC1s than at baseline. significantly increased DC2s and Allogeneic mixed-leukocyte reaction (MLR) vs controls. No significant differences in PHA, NK cell activity, and cytokine production were found. AHCC intake resulted in the increased number of DCs and function of DC1s, which have a role in specific immunity. AHCC Immune Support Booster Supplement: User Reviews, Results, and Testimonials. Many AHCC users testified that this Shiitake mushroom extract supplement helped to strengthen their immune system for many years with great success, by fighting off a variety of illnesses including flu, cold, tickle in throat, and many more. Indeed, there are also pet owners who gave AHCC for dogs and cats to help cancer treatment recovery and boost the immune support. >> Check out experience sharing from AHCC users like 5KidsInHouse, excesscargo, and Lorna W.
>> Check out experience sharing from AHCC users like OffTheWall from Virginia, CodyMart from West Fargo ND, Avid runner, and many more on how AHCC help to boost their immune support.